If your work requires you to manage multiple tasks to achieve a desired outcome, then a periodic audit should be part of your annual plan. But, why an audit instead of a review? A review of current processes typically looks at how, when, why and how much money is spent? Whereas an audit is a deep analysis of the steps in the process to see how they impact the final outcome. Consider an audit as a step by step look at the how, when & why of your daily activity. How – Post a job ad. Collect applications/resumes. Determine qualified applicants. Conduct interviews or skills assessments. Select the best candidates. When – At the time that a need for Human Resources is presented. Why – To fill a need for Human Resources. How Much $ – Cost of advertising. Cost of time spent reviewing applications, conducting interviews or skill assessments. Cost of orientation/on-boarding. Is the job ad providing the necessary information for job seekers to understand the requirements and culture of the position? Is it clear and concise? What advertising resources have been most successful in producing the best candidates? Are there unexplored options that may be more effective? How are job seekers able to submit their interest in your positions? Should there be multiple options? Do these methods enable you to work with the best candidates? 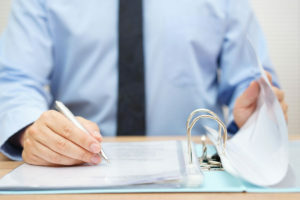 Do these methods streamline the process of reviewing candidates? Are there unexplored options that may be more effective? What factors are most important for this position? Are you able to identify and quickly communicate with desirable applicants? Is the interview/assessment conducted soon enough to reach the best candidates? Are questions or tests measuring the key factors for success in this position? When evaluating potential employees are you screening based upon the risk associated with this position? i.e. employee theft, sensitive information, company reputation, danger of physical harm, etc. Are interviews/assessments conducted in compliance with Federal & State laws concerning equal employment opportunity, discrimination, prior informed consent & notification, etc.? Do the results of interviews/assessments allow you to move quickly to the next step in your hiring process? This example covers the HOW of your hiring process. The Audit of any process should include multiple sets of eyes and also use metrics to determine effectiveness. An outside expert may be your best option for gathering data as they are not impacted by the results. 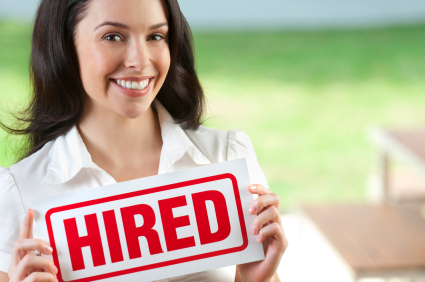 Here at SELECTiON.COM®, we have many different resources to help your company make the best hiring decisions. If you aren’t conducting a yearly audit of your hiring process, we recommend you do! For help in conducting an audit of your hiring process please contact SELECTiON.COM®. Next StoryWhy are Client Testimonials so important?